Parking passes for Wednesday, Thursday, and Friday are available at the registration desk starting Wednesday. Parking is available at the Hyatt, but it fills up quickly. 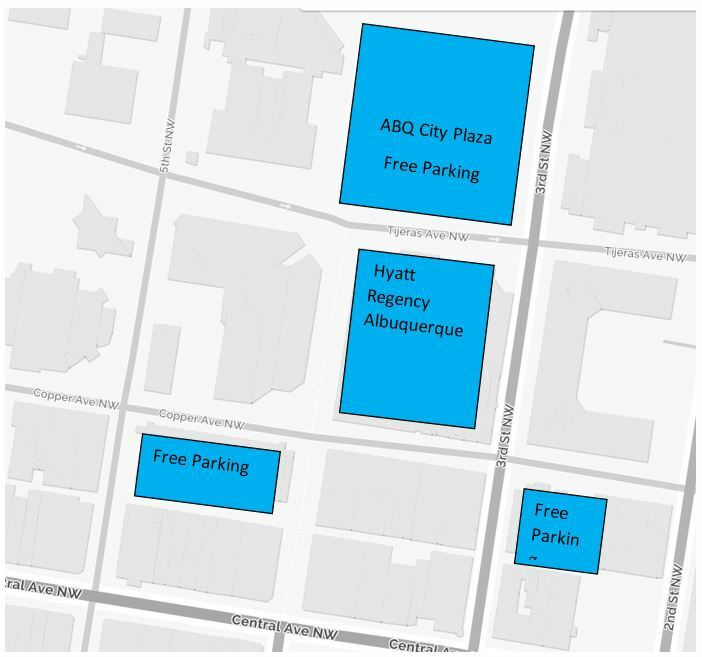 If you park at the Hyatt you must obtain a HYATT parking pass or pay upon exiting.